Recently, we’ve seem Jamie Foxx as a gun slinger (Django Unchained), an action hero (White House Down), but his upcoming role in the 2014 film, The Amazing Spider-Man 2, may just garner the most attention. 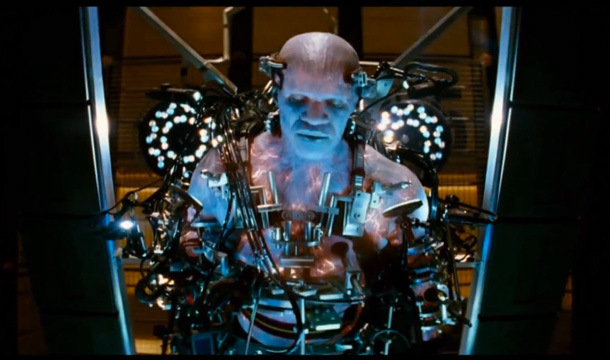 Even though the sequal to the 2012 film is a year away, the studio is already buzzing, revealing Foxx’s character Electro, a villian who gained the ability to control electricity after being struck by lightning while working on a power line. “I can feel it in the walls. I feel it in my veins. No matter what you do doc, you can’t contain it. You want to know how powerful I am? Well I want to know too. I’m Electro,” Electro (Foxx) announces in the below teaser. From the looks of the video, Foxx may have this villian thing down pat, although it’s way too early to tell.